Q. I thought I had turned on iPhone notifications for a couple of my favorite news apps, but I don’t seem to be getting any alerts — especially when I know there are headlines all over the place these days and my phone isn’t locked. How can I fix this? 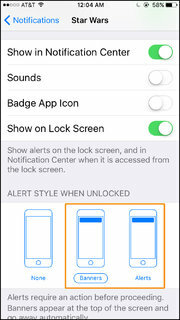 Make sure an alert style is selected in the iOS Notifications settings. A. Start by going to the iPhone’s home screen and opening the Settings app. On the Settings screen, select Notifications. The Notifications screen displays a list of all your apps that can send you notifications about news, appointments or other events. Once you have checked that notifications are turned on and an alert style is set for that app, tap the back button in the upper-left corner of the screen to return to the main Settings area. While you are here, tap the Do Not Disturb icon and make sure the feature is not on or set to kick in during the hours you wish to see alerts. The lack of a network connection can hinder those alerts from popping up on your phone. You should also make sure you are signed into your Apple ID. In iOS 10.3 and later, your Apple ID sign-in and account information appears at the top of the Settings screen. 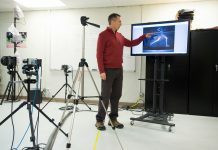 Android users can adjust their notifications preferences in their settings as well, although exact steps vary based on the device and version of Android in use. Microsoft’s Windows 10 Mobile system has notification settings of its own, too.